All UCEAP alumni agree that studying abroad is a transformative experience. UCEAP alumni are leaders in the fields of language and culture, international education, politics and more. Read interviews with alumni and learn about their lives before, during and after UCEAP. This past November, UCEAP alumnus Thomas Seale (UCSC, University of St. Andrews, 1977-78) and his family welcomed current UCEAP students Isabelle von Lockner (UCLA), Rosemary Wallace (UCLA), Sophia DeMornay-O'Neal (UCB), and Monica Minix (UCI) to participate in an olive harvest at their family farm in Provence, France. UC Alumni Celebrate 50 Years of Exchange with Mexico! UCEAP traveled to Mexico City in September to celebrate our 50th anniversary of student exchange with our partners in Mexico. Alumni, faculty, staff, and friends joined us for four days of events in commemoration of our partnerships. Photos are available on UCEAP Connect. We started our celebration with a welcome reception at the Hotel Krystal Grand Insurgentes Sur, followed by a dinner at the Restaurante San Angel. The following day, the festivities continued with a guided walking tour of the UNAM campus, which gave alumni information on the historical context of the creation of the famous murals on the sides of campus buildings. A small group then participated in a cooking class and lunch at La Casa de la Universidad de California en México. The budding chefs made chiles en nogada in celebration of Mexican Independence Day. That afternoon we headed to the National Museum of Anthropology for a tour of the Mexica room. On the third day, we took a trip outside of Mexico City to Teotihuacán, a UNESCO World Heritage Site. Commonly referred to as the City of the Gods, this pre-Columbian Mesoamerican city is known for its well-preserved murals, vast Avenue of the Dead, and the impressive pyramids that mark its landscape. After a guided tour and the chance to climb the Pyramids of the Sun and Moon, the group convened at La Gruta Restaurant for lunch. The restaurant is located in a spacious cavity of volcanic origin, and provided a beautiful and other-worldly atmosphere. Our final day included a morning trip to la Casa Azul (the Blue House), which houses the Frida Kahlo Museum, in Coyoacán. The museum preserves the personal objects that reveal the private universe of Latin America’s most celebrated woman artist. The Blue House also contains some of the painter’s most important works: Long Live Life (1954), Frida and the Caesarian Operation (1931), and Portrait of My Father Wilhelm Kahlo (1952), among others. At a recent Lund University alumni event in Denver, UCEAP alumnus Gordon Lindeen shared what he has been up to since his exchange studies at Lund University. 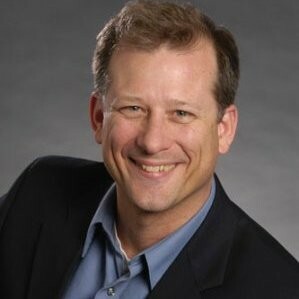 My name is Gordon Lindeen and I have been a practicing intellectual property attorney since 1987. 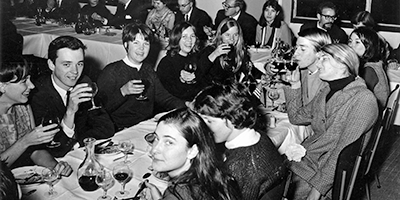 From June 1982 to June 1983 I studied in Sweden as a part of the University of California Education Abroad Program. Over the years, I have been involved in almost every aspect of patent, trademark, copyright and trade secrets law: acquisition, licensing, sale, evaluation, and enforcement. Lately, most of my work has been obtaining patents for major companies in the electronics, communications, and semiconductor fields. Every few days, I will have a conversation for an hour or two with a group of innovators about the group’s most recent new invention. I will then spend a few days preparing a patent application, confer again with the group to make sure that it is right and then submit that to an appropriate national or regional government patent office. I will also work with in-house counsel at the group’s company to make sure the company is getting the patents that it wants. Patent prosecution work is always new and exciting to me because I work with creative people and with their new ideas. It is also easy to keep a positive outlook because the inventors are excited to explain their invention. Read more. 50th Anniversary of Exchange with Mexico! One hundred alumni came together at UCSD on June 30 to celebrate 50 years of study abroad in Mexico! The program included remarks by Aída Espinosa Vázquez, the Academic Dean of the Universidad Nacional Autónoma de México en Los Ángeles, as well as Karen Mead, Program Director at UCEAP, Vivian-Lee Nyitray, Associate Vice Provost and Executive Director of UCEAP, and Monica Lopez, UCEAP alumna who studied at UNAM in 2015 and received the UCEAP Mexico Scholarship in support of the UC-Mexico Presidential Initiative. The reception was held in the Great Hall of the International House, with views of the Pacific Ocean. We look forward to continuing the celebration in Mexico City in September! On June 2, UCEAP alumni and friends gathered at UCLA to celebrate our 50th anniversary of exchange with Hebrew University! It was an evening of great emotion and friendship. 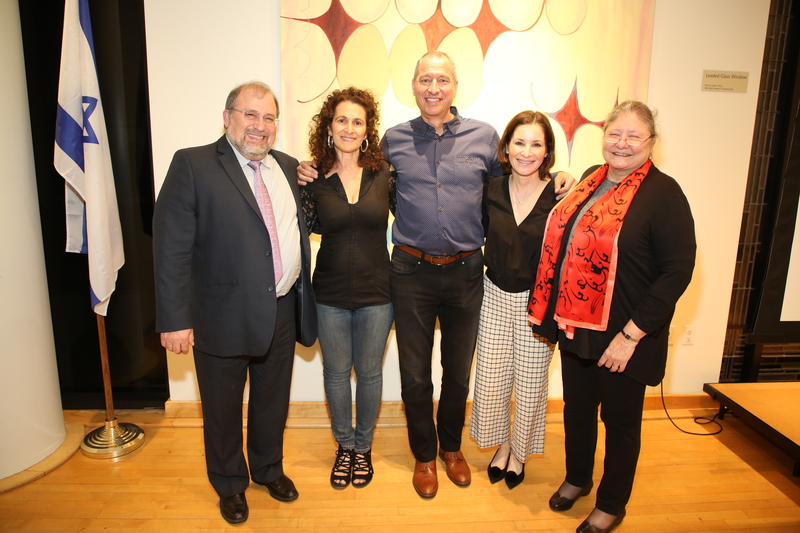 Thank you to our wonderful alumni speakers Mindy Mann and Marc Rosenbach, and to Hebrew University Vice-Provost Jonathan Kaplan for helping us honor our special relationship with Hebrew University. All alumni are invited to join UCEAP and Hebrew University in Jerusalem on October 24-25 to celebrate this milestone. Read the latest UCEAP news and learn about upcoming events happening near you! University of California students enhanced their education this year by discovering the world and themselves through study abroad. They built bonds and their confidence. They made dreams their daily reality. They learned to trust and connect. They became seekers and adventurers. 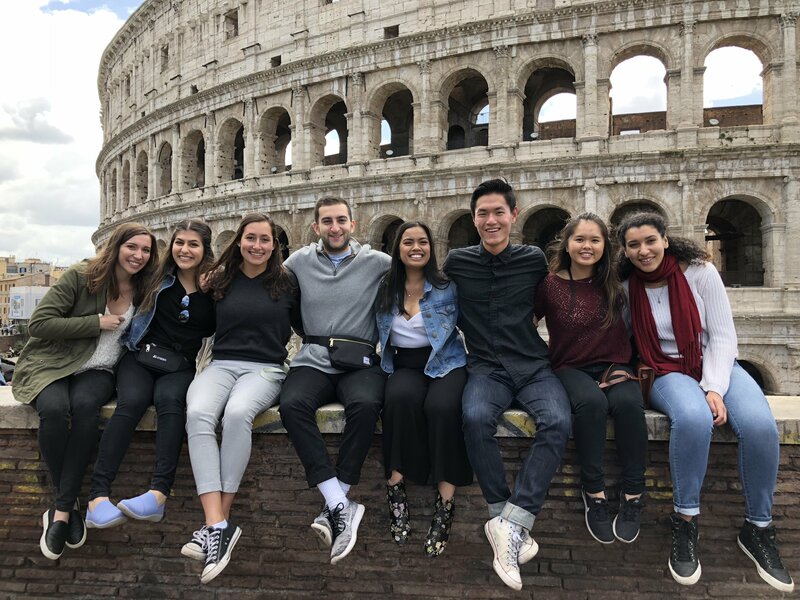 Collectively, more than 350 UC students who studied abroad in 36 countries shared moments of friendship, belonging, discovery, and self-acceptance from their time abroad in 2018. Each represented the kind of experience UCEAP hopes every student will have. Check out their Meaningful Moments. UCEAP celebated 50 years of exchange with Hebrew University in a series of October events in Jerusalem. Current students and alumni enjoyed a fun Paint n' Sip event in a beautiful restaurant overlooking the old city, a lecture on "New Forces Affecting Israeli Society" by Dr. Meron Medzini, and a wonderful dinner on campus in celebration of this important milestone. Our time together allowed us to reconnect with old friends and make new ones. A big thank you to our colleagues at Hebrew University for their help in organizing the events. This past October, UCEAP celebrated 50 years of exchange in a gala reception at La Casa de la Universidad de California en México. The event was hosted by Vivian-Lee Nyitray, Associate Vice Provost and Executive Director of UCEAP, and included remarks by Gloria Ornelas, Director of Exchange and Student Mobility at the Unversidad Nacional Autónoma de México (UNAM), as well as Allert Brown-Gort, Executive Director of the Casa de California. UCEAP alumnus Diego Zarazoga Tejas (UCLA, UNAM 1999) and Brenda de Jesus Acosta (UCSC, UNAM 2018) spoke about their experiences studying in Mexico City through UCEAP. Karen Mead, Program Director of UCEAP Programs in Latin America, was the emcee. UCEAP also honored Verónica Tellez for her 25 years of service at the UCEAP Study Center in Mexico City.We look forward to another 50 years with our partners in Mexico! Learn about amazing study abroad opportunities and the latest on our participants worldwide!